Hi there! 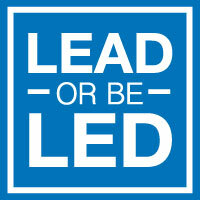 Welcome to LeadByChoice, a home for people who want to take bold and courageous leadership. I am Kimunya Mugo, a blogger, an author, leadership coach, communication specialist and a father. My mission with LeadByChoice is to inspire and motivate you to ‘Explore your true Identity, Unleash the Leader in you and Build your Legacy’. I believe that leadership, communication and branding are so intricately connected, that without one, the others cease to flourish. These are the themes that you will engage with here at LeadByChoice. Soon, I will be launching my new leadership coaching program. It is real and transformational. You will experience personal growth, build your team and enjoy your family more. You will grow into the leader you are meant to be. IMPORTANT NOTICE: This blog moved to www.LeadByChoice.co to serve you better. To receive updates and future offerings, I encourage you to SUBSCRIBE or click on the banner below or to the right of this screen. Thank you! From when I was a boy, I was fired up by ‘But why?’ when confronted with major decisions. This made me challenge the status quo. I did not always follow the crowd and tended to blaze my own trail. I got tired of complaining about the mediocre ‘leadership’ I constantly found myself under. Deep down, I knew that I was born a leader. But life had dealt me some serious wounds that filled me with fear. A fear of failure. Finally, I made a decision in 2013 that I would live fearlessly. I had to forgive someone who had hurt me when I was just seven years old. The degree to which you are able to tell your story is the degree to which you are able to heal. It helps us deal with our shame, our inadequacy. To deal with me! When I was eleven, another candle was extinguished. I still remember that day like it was yesterday. Our English teacher was handing back our essay assignments. As was custom, he started off with the student with the highest grade and worked his way to the bottom. And guess what? I was it! I had flunked! It was depressing to say the least. I had poured my heart to write an epic story…and I had. His reason for not grading my essay? “You copied your essay from somewhere else,” he said with a smirk on his face. That added to my feeling of inadequacy. But that did not kill my dream! A small ember still flickered in the recesses of my battered spirit. But it took a lot of hard work to get that ember into a roaring fire! In 2013, I quit my day job to fully commit myself to writing, coaching and serving you. The same year, I published my first book. Down But Not Out: Becoming A Significant Leader at Home was my key to freedom. In it, I share my journey of joy, pain, fears, rejection and finally triumph. I began doing something that I could not do without. Something that mattered not only to me, but for the betterment of humanity. I have worked in the not-for-profit sector for over 15 years. Trained as a scientist (horticulture), I have always loved communication. However, it was not a direct transition. I was kind of ‘pushed’ into it when my first boss put me in charge of developing my first website (by the way, I had no clue how to do it!). My last day job was as Regional Director for Communication & Branding of WWF in eastern and southern Africa. Before that, I worked in a variety of roles for three other organizations (see full profile). In my free time, I enjoy writing, reading, the outdoors, running, speaking and helping other parents. I have been married to my best friend Harriette since 2004. Together, we have been parenting coaches since 2007. We have three children and make our home in Nairobi, Kenya. I will enshrine boldness in my vision. I want to inspire excellence in people. I seek to be authentic in my leadership at all times. I want to make a difference with my life. I will consistently add to my knowledge. I want to be available to you as much as I can. Sometimes life gets crazy and it takes me some time to respond, but I do my best to respond in a timely manner. Subscribe to my Blog – This way, I promise to deliver any updates and goodies directly to your mailbox. My promise is NO SPAM and a guarantee that your email WILL NEVER be shared with anyone else. Email – Let’s have a conversation… It’s as simple as a click! Twitter – I really like the freshness of Twitter! Follow me @KimunyaMugo then send me @mention or reply. Facebook – I engage with your comments and mentions on Facebook. LIKE my Page and my Facebook Profile and let’s rock! “Intimately candid and bold. A reminder that hope still exists if parents deliberately train their children to grow in ‘wisdom, stature and favor with God and man’.” Michael Oyier, Psychologist & Media Practitioner, Founder & Director Serenity Life Coaching. Hi, I just came to your site for the first time. It is a wealth of information. Very nice job. Love your stuff and your blog! Kimunya, thanks for the thought provoking pieces that prompt action. Your latest article on Leadership is HOPE was particularly very practical calling for a little pause from ‘our busy frame’ and to take time to impact for the future. Asante sana keep up and may God continue to use you in amazing ways. I too saw your post at http://www.asliceofleadership.com and checked out your site. Very impressive. I like your thinking and the breadth of topices you cover. I pray you do well. Don, your comments and encouragement…appreciated! Fantastic! I saw a post you had on http://www.asliceofleadership.com and thought I would check you out. Looks like you have a passion for helping others, as well do I. I also blog about similar topics and someday soon would love to feature your site on my own! I do love challenging others to bring out the best in them. The “The Leadership / Parenting Analogy” on your blog was a very interesting perspective on leadership, one that is often neglected. As part of our calling, my wife and I work with new parents as we are very passionate about quality parenting. Already, we can directly see strong leaders developing in our own young kids.